Highly recommended by a lot of local foddies, Candlenut had been on my list for a long while and I'm finally here. As a pure Chinese who was raised up in China, I honestly don't have much local food experiences. My last Peranakan meal was five years ago when i travel to KL for fun, it was a quite enjoyable meal. Chef-owner Malcolm's passion in cooking was grown since he was young. Had been working in the United States as well as a Western cafe at the Singapore Management a university, Malcolm finally decide to inherit the traditional cooking from his Nyonya mother. Learnt from his mom, Malcolm uses only spice pastes made of fresh ingredients without MSG or preservatives. 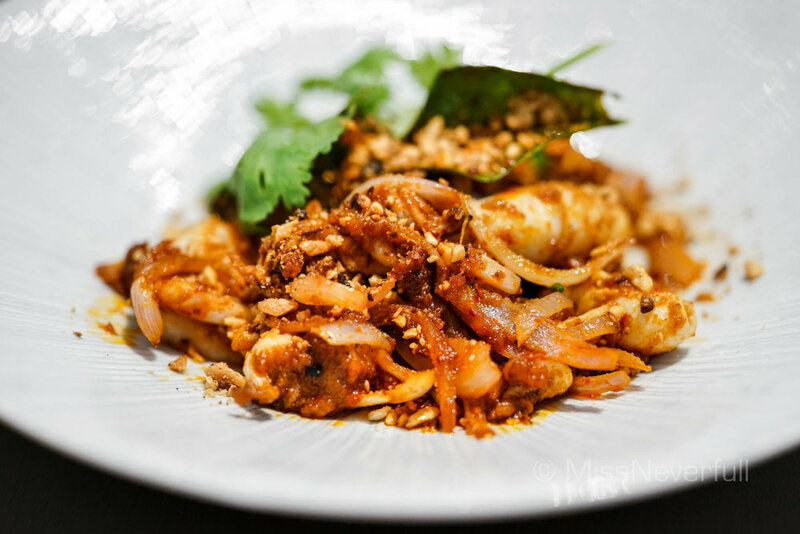 With Candlenut, Chef Malcolm aims to serve his heritage by serving a menu of refined flavors and techniques with unique innovative dishes. 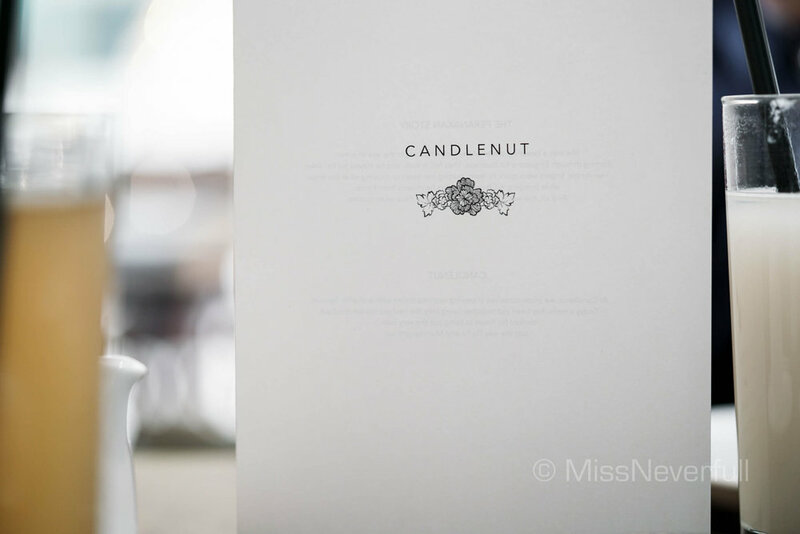 I visited Candlenut two weeks before the Michelin Guide Singapore released. I was not surprised that this young restaurant was honoured one star - it is the ONLY Peranakan restaurant featured by Michelin Guide. Congrats! Candlenut serves a fixed menu called 'Ah-makase' menu. Ah-makase is derived from the Japanese course menu 'Omakase' and Singaporean 'Ah-ma' which stands for grandma. Imagine going to Grandma's house where the dishes was served in a sequence from cold to warm, lighter to heavier, and you don't have the option to order the dishes you want because everything she cooks is love. The Ah-makase menu is reasonably priced at $65 per head, includes four appetizers, a table of five dishes for sharing served along side rice. Your choice of one dessert from the menu is also included in the set menu. The portion is adjusted for the whole table depends on the party size. A plate of homemade prawn crackers was arrived at our table before starting the meal. The cacker was not oily at all the packed of delicious prawn flavors. Firstly we were served a plate of assorted Peranakan appetisers. Clock-wise from the top was Charred octopus with Chincalok and cucumber & pineapple achar, followed by a hot Minced pork dumplings with Peranakan Buah Keluak black nut sambal that impressed us a lot. I didn't have a lot of satay experience but it was the best Chicken satay i have ever had - so tender and flavourful, the taste of peanut sauce and pineapple puree were right to point.Lastly, a cute Homemade Kueh Pie Tee shell with blue swimmer crab,'Yeye' White curry and Alaska leaf. 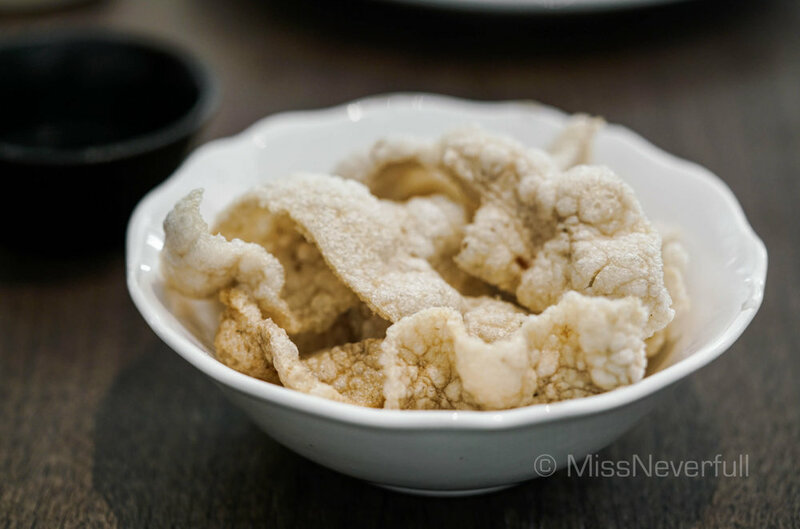 We loved all these four appetizers which gave us a nice discovery of Peranakan flavours. Followed by a soup dish of delicious meatballs in a umami shellfish bisque. As a special request, chef served a snapper soup for me tastes lighter than the meatball soup, both have depth of flavors. Ayam Buah Keras a dish of braised chicken in yellow turmeric broth, along side candlenut, lemon grass and fresh cherry tomato. The flavour of yellow turmeric broth went through the chicken very well, while the texture of the chicken could be more tender. Compare to the chicken, i loved the charcoal grilled red lion snapper more. The fish was well-cooked, topped with black Mangga Sambal and ginger flower to lift the flavors. On the side, local cucumber Kerabu was served which was spicy but refreshing. 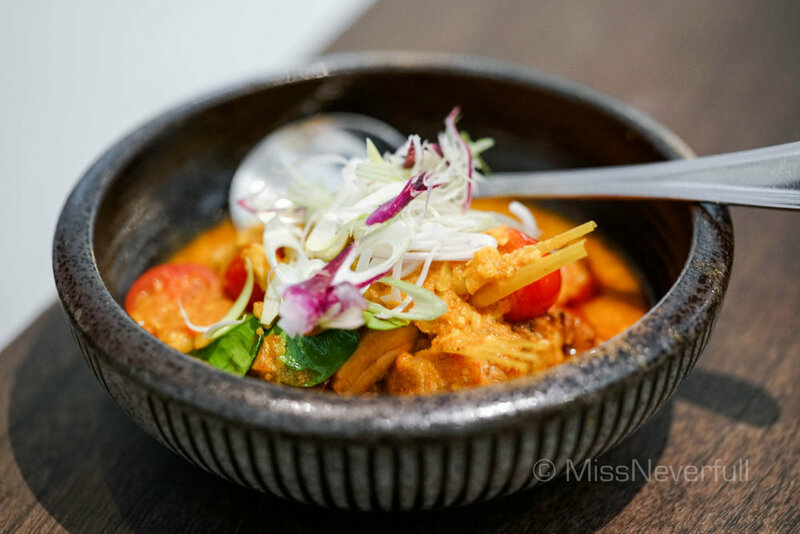 The menu also include a daily vegetable dish, we had a coconut-curry based tapioca leaf lodeh with young jackfruit. To me the darker green leaf looks not fresh at all but it possibly suppose to be like this. The deep-fried whitebait gives a crispy texture and a hint of oceanic taste to the dish. My favourite dish among the five main dishes was the wok fried baby squid Berempah, it was pretty hot but really flavourful. The squid was tender and chewy, it matches well with the onions and roasted peanuts. All the five main dishes came to the table at the same time, served with a large bowl of Thai Hom Mali ricefor sharing. Similar to Nahm in Bangkok, people eat the food by adding some rice to their own pate as well as the dishes. All those coconut-curry bases were so good with the rice! Most dishes we had were spicy, thus a small 'shot' of starfruit sorbet was served as a palate cleanser before serving the dessert. The appetisers and main dishes served were fixed, but each guest can choose one dessert from the dessert menu: Buah Keluak Ice cream with Valrhona chocolate (signature), Homemade Kueh Salat and Young coconut ice cream, Durian Soup with Mao Shan Wang ice cream and D24 durian puree, Steamed banana cake or Candlenut's classic chendol cream with Pandan jelly. Both my partner and i were not in a chocolate mood, we picked Durian soup and Chendol cream, along side Homemade Kueh Salat as a a la carte item, two of us shared three dessert and we found them enjoyable. My favourite was the homemade Kueh Salat, which was a green pandan custard on top of steamed glutinous rice. It was something new to me and i really loved it. The coconut ice cream is quite light in coconut flavor but matches well with the custard. Must try! Lastly, we were served some old-school candies as a 'petit fours'. This was a quite satisfying Peranakan experience i have ever had. Despite the simple and casual interior and decor which cannot compare with other one-star fine dining restaurants in Singapore, the food here definitely made it up. We noticed that most diners there were locals, there were few tables of white people as well. We ordered two soft drinks and one glass of wine, plus one a la carte dessert, we spent $90 in average which was really worth of value. The service was flawless but some servers should have a better understanding of the food they are serving. 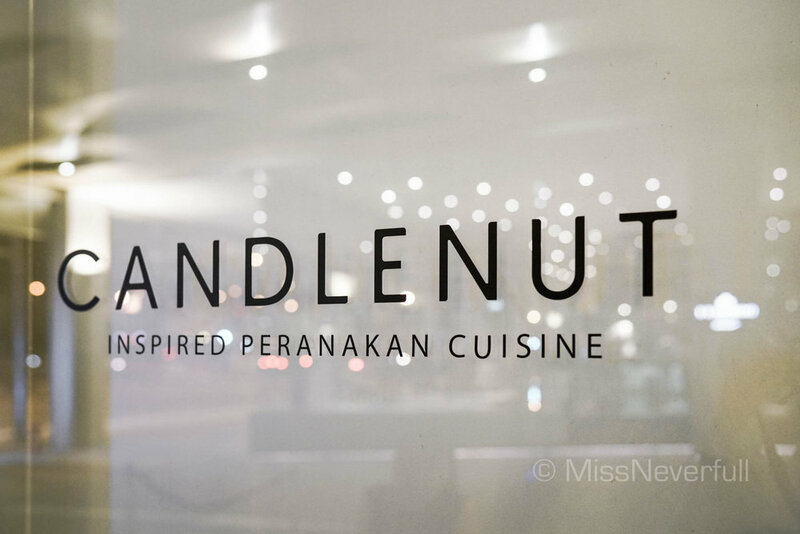 Overall, Candlenut is a right place to go for quality Peranakan food especially you are travelling to Singapore and seeking higher-end local flavours.